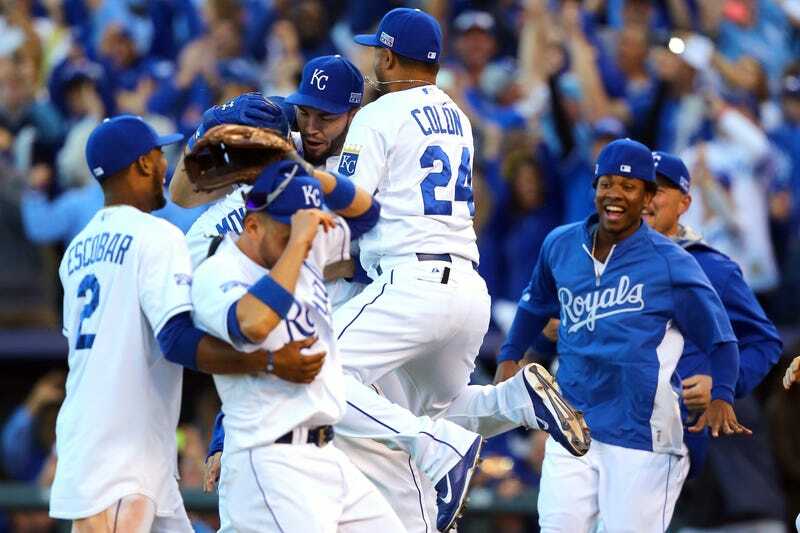 This Royals team is incredible. Just two weeks ago, they were down a run in the bottom of the 12th inning of the AL Wild Card play-in game against the A's. But a furious rally advanced them to the ALDS, where they swept the Angels 3–0, and tonight they just completed the 4–0 sweep of the Orioles. They become the first team to ever start the playoffs with eight wins and no losses, and are advancing to their first World Series (in their first playoff appearance) since 1985. After a long layoff—and a few days of heavy partying in Kansas City—they'll face either the Giants or Cardinals. Watch video of the final out below.